The high expense areas of fix and flip or rental renovations need the most attention. Repair or replacement of roofing materials, exterior coverings such as vinyl siding, plumbing and other infrastructure repair, and flooring are among some of the most critical and expensive. Paint and other interior wall coverings are critical as well. 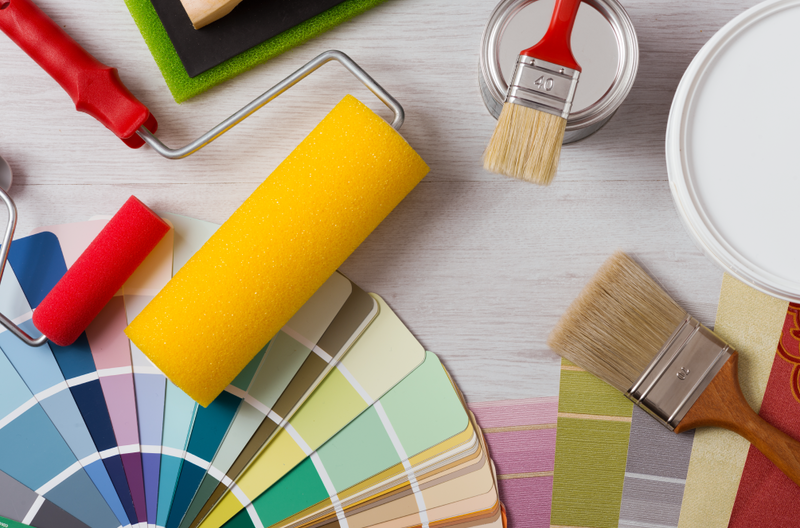 But do you know which paints for an investment property you should be using? Each finish has a purpose beyond its visual appeal. Flat paints for an investment property are typically used for a base treatment to help hide small imperfections in coverings such as dry wall. Though good for coverage, they often do not stand up to excessive cleaning over time. If the fix and flip project is to be marketed to retirement couples or empty nesters, the easy touch up of flat paints is a good choice. Flat paints range from $27-$40 per gallon. Semi-gloss paints are most notably used for trim and moldings. They are easy to clean, help fight against moisture, and have an excellent visual quality. Semi-gloss paints for an investment property are often used in bathrooms due to moisture and kitchens due to the accumulation of cooking residues. Typically, semi-gloss paints range between $33-$56 per gallon. High-gloss paints for an investment property sit at the top of the expense chart for a reason. The impressive shine is an immediate eye catcher. It is durable, and easily cleaned for the long haul. It is very difficult to apply without imperfections due to the high shine, and is commonly used for trim, moldings, baseboards, chair rails and cabinets. The high cost and difficulty in application makes it a rare choice for fix and flip or rental renovation projects. High gloss paints range between $30-$120 per gallon. Upgrading your fix-n-flip or rental property with the right paint is just the beginning. How about upgrading your financing options with a loan from LendingOne. Fix and Flip loans with closings in as little as 10 business days and Rental loans with closings in weeks instead of months. Get started today!